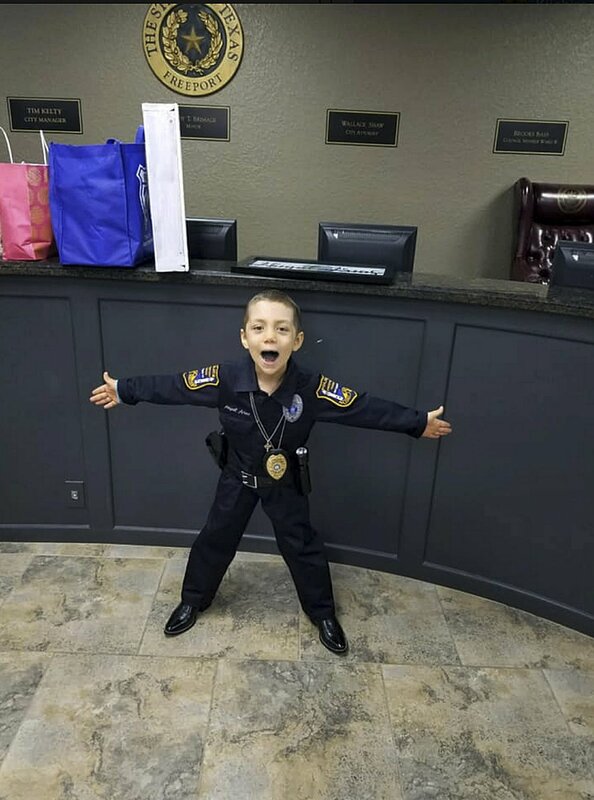 A 6-year-old Houston-area girl with cancer had a dream come true when she was sworn in as an honorary police officer. 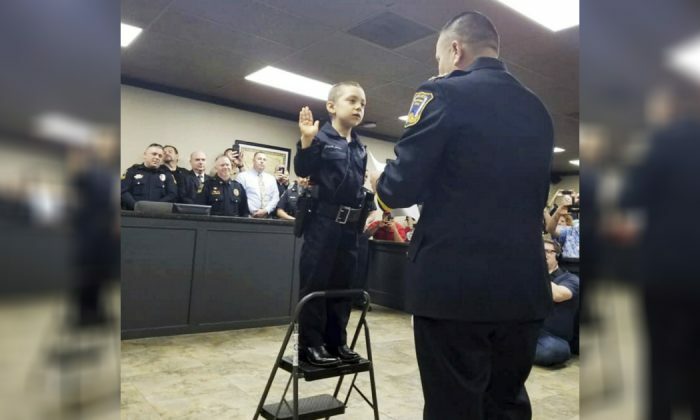 Abigail wore a custom-made police uniform and stood on a stepladder as she raised her right hand while the police chief administered the oath. Freeport is a city of about 12,000 located 50 miles south of Houston. In 2017, a 99-year-old grandmom from the Netherlands got her wish come true to get arrested once in her lifetime when these thoughtful police officers came in to help—handcuffing and locking her up in a cell! 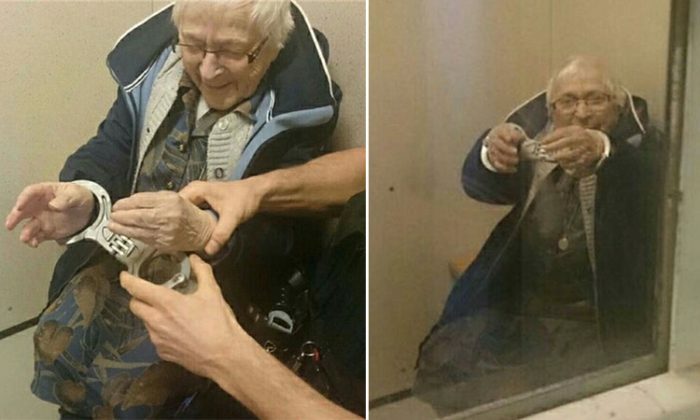 With a look of pure joy, 99-year-old Annie allowed an officer to put handcuffs on her, and lead her away into her very own jail cell at the nearest police station in the Dutch town of Nijmegan-Zuid on Feb. 23, 2017. Although technically, police are not supposed to lock up non-criminals (Annie clearly was no criminal), they made an unusual exception for Annie, who, being 99 years old, had wished to get arrested once and be put in jail. According to CTVNews.ca, a spokesperson from the police shared that Annie’s niece was reporting a crime. That’s when she informed an officer about the elderly lady’s wish. The officer agreed to participate and helped the grandma check off this wish from her bucket list. The Facebook post garnered attention from social media users who praised the police force for allowing the elderly lady to experience the prison cell. 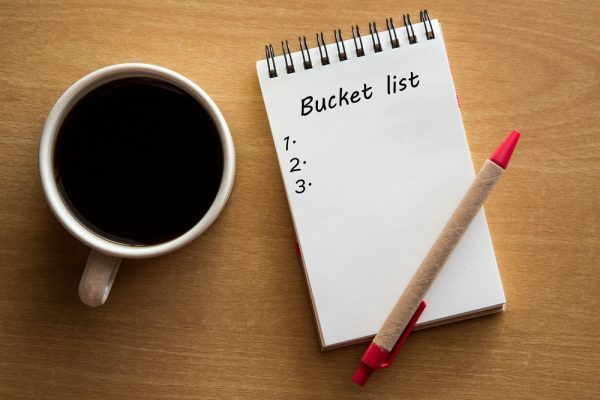 Although she was only detained for a short while, perhaps Annie will find consolation in knowing that that’s one more item she can check off her bucket list.